Researchers have long known that plants possess many of the same "senses" as animals, albeit manifested in different ways. For example, the ability of plants to grow toward light indicates their ability to "see" (sense light), while their ability to react to various volatile chemicals produced as signaling mechanisms by other plants could be construed as a sense of smell. 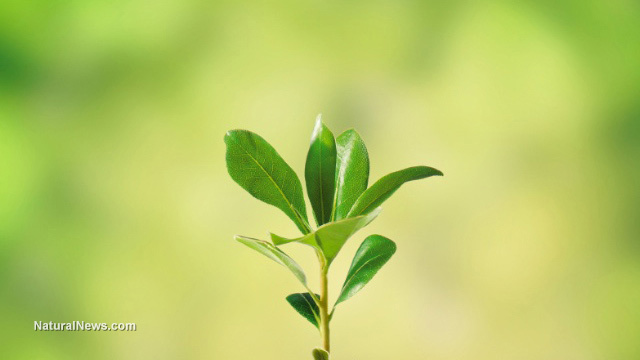 In one recent study, published in the journal Frontiers in Plant Science, Appel and colleagues revealed that plants' sense of touch is more sophisticated than formerly though. The researchers exposed Arabidopsis plants (in the mustard family) to two separate species of caterpillars and two separate species of aphids. Each predator was allowed to chew on the plants for a set amount of time. Some plants were also stimulated with camel-hair paintbrushes as a control group. After each intervention, the plants were harvested, and the researchers analyzed their gene expression. They found that 2,778 genes (out of a total of 28,000) were activated in response to the leaf predators. Some of these are responsible for regulating defensive responses, while others regulate other physiological processes, such as water use or root growth. The differences in gene response were dramatic not just between aphids and caterpillars, but between different species of the same type of predator. For example, there was less than 25 percent overlap in the genes that activated in response to the two caterpillar species. The two aphid species triggered only 10 percent of the same genes. "It really shows that plants can tell the insects apart and respond in very different ways," Appel said. In another recent study, published in the journal Oecologia, Appel and colleagues sought to identify adaptive benefits to the proven ability of plants to detect sound (air vibrations). The researchers note that arthropods are well known to use various forms of sound for communication, and that the chewing sounds of different insects are so distinctive that they are used by predators to locate their prey. The researchers wondered if plants might be able to use this same information to tailor their defenses to insects chewing on their leaves, or those of nearby plants. To test this hypothesis, the researchers recorded the (very faint) sound of caterpillars feeding on Arabidopsis leaves, then played these recordings back to a separate group of plants. They also played those plants recordings of a separate insect, and also exposed them to the vibrations of a gentle breeze. When fed on by real caterpillars, the plants released mustard oil, a natural insect repellant. They also released mustard oil in response to the caterpillar recordings, but not in response to the breeze or the other recording. This shows that the plants are, in fact, responding to the vibrations produced by the chewing of insects, and that these vibrations are enough for the plant to identify a specific predator. Next, Appel and her collaborators are planning to study responses to predator sounds in other plants, as well as how insects co-opt plant defenses to trick plants into forming galls (abnormal growths that protect and nourish insect young).